Stylish and sophisticated, this split two bedroom, two bath condo is not to be missed. The unit foyer leads to a sleek open living/dining floorplan. A contemporary kitchen offers designer Italian cabinetry, stainless steel appliances, granite countertops and generous granite breakfast bar. The master suite features a custom walk-in closet and stone master bath with dual vanities and soaking tub. 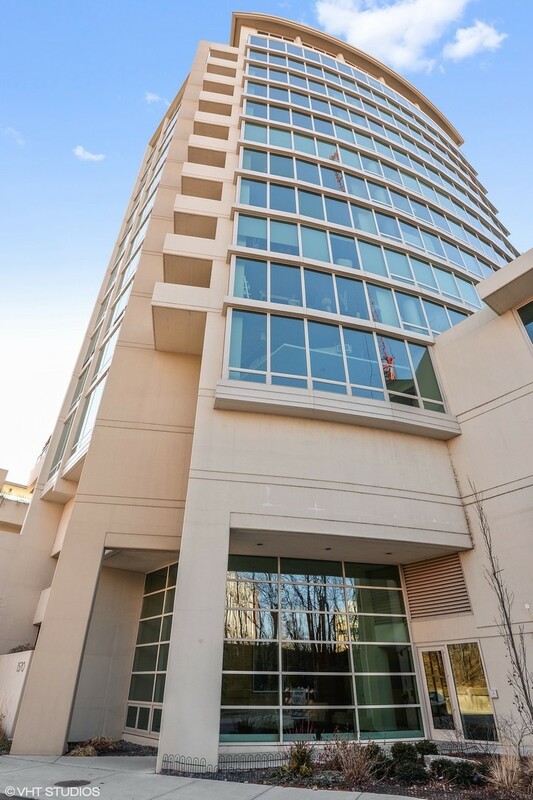 9&apos; ceilings, gleaming hardwood floors, custom closets, floor-to-ceiling windows throughout, full-sized washer and dryer and spacious outdoor balcony with north and west views round out this special space. Amenities include an indoor pool, jacuzzi, towel service, fitness center, party and bike rooms, sundeck and 24hr door staff. Eco-friendly luxury impeccably maintained and managed. Two-car garage parking included. Steps to the Purple Line, Metra, NU, lakefront, shops, eateries, coffee houses and more!